This comic marks an important transition point for me. At the beginning of 2014 I committed to a creative project that I’m currently referring to as simply Show Diaries. 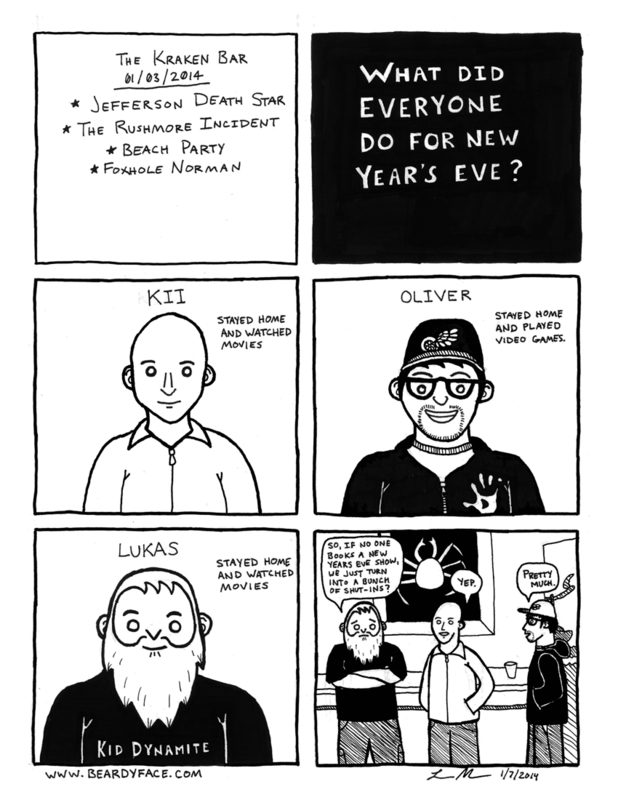 In essence, I am committed to drawing at least one comic for every music performance that I attend during the year. These comics will be in some way inspired by and/or related to the show itself, though they will often have nothing to do with the music or bands at the show (as demonstrated above). The majority of the comics you’ll see here for the foreseeable future will be Show Diary strips, because I see bands play fairly regularly, and I’m not a speedy artist. These strips will be readily identifiable by the fact that they will always list the venue, date, and bands for the show that inspired the comic. I’ll also try to provide links to the bands’ bandcamp/Facebook/website in these notes when possible.